‘You’ve been matched with a very reckless god. It’s Cupid, himself. And he’s coming for you.’ Wattpad releases its first screen project of 2018, and hopes to impale the interest of a lot of CW fans. For years, stories written on Wattpad have made their way into television series productions in the Philippines. Mostly romantic comedy, these “Wattpad Presents” shows have been hugely popular with a young viewership there, many of the writings also sold as paperbacks. With Valentine’s Day this week has come a potential North American version of this phenomenon, something that’s long been an intention of the Wattpad Studios program led by Aron Levitz from Toronto’s Wattpad headquarters. 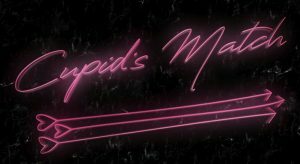 Cupid’s Match is the title of a very short pilot episode the platform has produced with Wattpad co-founder Allen Lau listed as one of four executive producers, and with Levitz listed as a producer. An audiobook edition, by the way, was released last summer by Hachette with narration by Laurie Winkel. The pilot runs nine minutes. 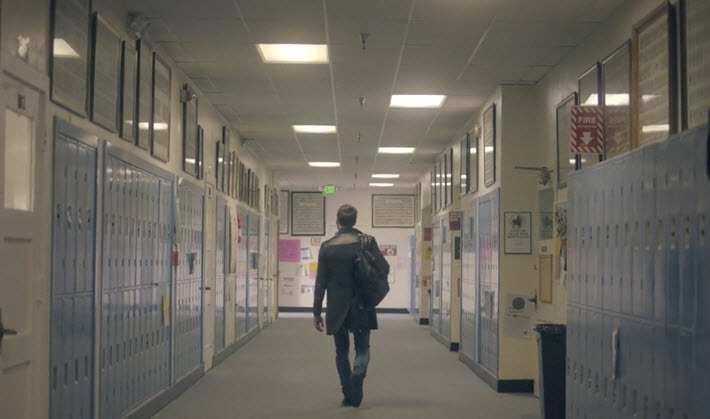 It was produced by the Santa Monica crowdsourced studio Tongal, which exposes clients’ projects to an international production community it says comprises more than 150,000 writers, directors and filmmakers. Companies use Tongal to find initial production work on a test project. There’s a walk-through of the Tongal program here. You can see more than one trailer for the project. Here is one, here’s another, here’s a third. And as The CW network tries to gauge interest from viewers at its CWSeed site, Wattpad officials say they’re hoping to be able to greenlight a season. The story on which the pilot is based is by Lauren Palphreyman–who writes as @LEPalphreyman at Wattpad. Company officials say the story on the platform was one of the most-read in 2017. At this writing, the system lists 36.3 million reads and more thsan 1.7 million votes by Wattpad readers who follow keywords including chiclit, cute, badboy, supernatural, greekgods (one word), arrogant, and kiss. 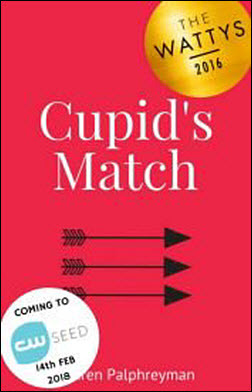 “Cupid’s Match tells the story of Lila Black, a 17-year-old high school student who finds herself in a supernatural world of romance, adventure, and betrayal when the mysterious Cupid’s Matchmaking Service contacts her to let her know she’s been matched with the one and only Cupid–which is in fact not a good thing. “Lila discovers there is a whole secret organization of cupids, and their No. 1 rule is they can never be matched up with anyone. “The fact that the original Cupid has been matched up is unprecedented, and legends say that very bad things will happen if Lila falls for Cupid … who of course is quite irresistible. In the nine-minute pilot, of course, things don’t get very far. Those assembling enemies appear to be dangerously attired classmates. There are no naked babies here. The squirming-cherub model of Cupid has been traded in for something that looks like a vampire from Twilight, maybe a little healthier, the kind of guy who can saunter in sultry slow motion past the all-important lockers in the school hallway during the here-he-comes montage. But the real arrow being fired here, of course, is an exercise in getting Wattpad into production channels, and to that end the pilot features General Hospital’s Robert Palmer Watkins (Cupid), along with Michel Janse (Lila) and Dane Oliver (Cal). The pilot alternates between expertly competent schoolroom shots and some brief torture-scene cutaways that bring to mind unfortunate Jazzercise performed in a chair. But it should be interesting to see how much of a following the show may gather. And if anything, this first foray puts onto the table a worthwhile dilemma for Wattpad and its ambitions, a question that may quickly become pressing as its drive toward production accelerates: when does the quality of a story become the currency? “Do you think she’ll stay away from him?” one dating-service worker asks another. “Has a girl ever stayed away from Cupid?” he responds. Cut to Cupid getting out of his car (and what kind ride is a Cupidmobile, anyway?) to begin his slow-mo swagger through the school. Cue the obligatory guitar hook. Big man on campus? No, this is a god reduced to a high-school hotty. And if our boy sits down in a good class on mythology at that school, he’ll learn that Cupid is a Roman god, not the greekgod of the story’s keywords. The original, the Greek deity of affection is Eros. Regular readers of Publishing Perspectives will recall our report last month about Wattpad’s announcement of a new $51 million in funding. It might be worth throwing a few of those dollars at story development. With all the energy that Wattpad Studios is rightly devoting to its new directions, many of us are willing to believe that stronger, more important literature than this is somewhere on that platform. Let’s hope that Levitz and his associates can find it. More of Publishing Perspectives’ coverage of Wattpad is here.